Today we’ll try to un-cliche our “praising vocabulary” and learn some better words that can be used for giving COMPLIMENTS. अक्सर हम लोगो को कुछ आम शब्दों में तारीफ करते सुनते हैं जैसे good, nice, pretty, awesome, beautiful etc. Maybe it’s time to leave your obsolete ‘praise vocabulary’ behind and learn some new and of course better words to compliment someone or something. Well, for starters, there is no one in this whole wide world who doesn’t like compliments. And on top of that, if you give someone a compliment that they’ve never heard before, they’re going to remember it. Replace the ‘wonderful’ in your compliments with this word and you are good to go. • Your cooking skills are wondrous. Refers to something that is much more attractive that usual. • There was a striking glow in his eyes. Something that is so impressive or attractive that it stuns you for a moment. • His house was gigantic and simply stunning. Graceful and stylish in appearance and manners. • My mother is an elegant lady. It can be used for anything or anyone that impresses you to a great extent. • Your paintings are splendid. It’s used for something so interesting that you find yourself engrossed in it. • This book is quite riveting. Attractive or appealing in a fresh and innocent way. • Your daughter’s smile is winsome. Commonly used for a woman who is attractive in appearance. • I could not look away from her comely face. This one can replace the overly used word ‘attractive’. • The model in the fashion show wore a fetching red dress. Someone or something that attracts attention because of their exuberance, confidence, and style. • I find your flamboyant nature very appealing. So from now on stop uttering the same words over and over and KEEP COMPLEMENTING. 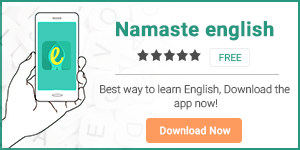 To learn more such new words, their pronunciation, synonyms, etc, download our ‘English to Hindi’ dictionary app HinKhoj. ‘Used To’ : How To Use It Correctly?